On Wednesday, Toyota said it would be recalling 625,000 of its hybrid vehicles, mostly its Prius v model. The Japanese motor company announced the global recall of its hybrid cars due to a software glitch that has the potential to, in rare cases, shut down the hybrid system while the car is in operation. In other words, the defect could bring the vehicle to a sudden stop while it is being driven. Although the cars have been recalled, no accidents or injuries have been reported. A similar issue occurred in 2014, which resulted in the world’s biggest automaker recalling 1.9 million Prius cars. This was Toyota’s biggest recall for its popular petrol-electric car. The most recent recall affects some Prius v minivans, which are known as Prius + and Prius alpha in certain markets, as well as certain Auris hybrid vehicles and other models produced between May 2010 and November 2014. Toyota said that around 340,000 of these recalled vehicles are in Japan, 160,000 are in Europe, and 120,000 in North America, reported Reuters. The automaker also stated that no crashes or injuries have been reported. Toyota has sold an estimated 30 hybrid cars in over 90 countries around the world. 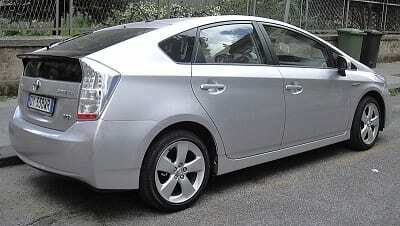 The Prius is one of the most popular hybrid cars, and was one of the first of its kind to become mainstream. It has been widely seen as a symbol of green technology and is driven by many environmentally-conscious individuals. Approximately 30 hybrid models have been sold worldwide.